A new year creates a fresh start for personal commitments to improve your mind, body, and soul. What better way to do that than in your national park? Take these 5 new year’s resolutions as a guide to an amazing 2019. There is so much to explore in Cuyahoga Valley National Park. With over 125 miles of hiking, biking, skiing, and horseback-riding trails, why not try one you haven’t been on before? Visit our guide on our website to find your next new adventure. Feeling extra courageous? Try hiking all of the trails over the course of the year! 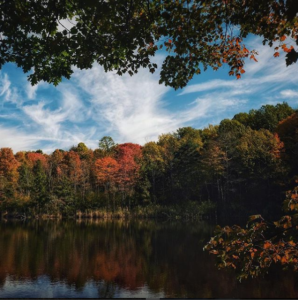 Cuyahoga Valley National Park is not only for hikers and bikers, but for music enthusiasts, food connoisseurs, and the inquisitive, too. The Conservancy offers unique experiences in your national park, from lively concerts, to delicious and unique dining experiences, to interactive workshops. There’s something for everyone! View all of our upcoming events on our calendar. Do you know someone who’s unaware of the national park in our own backyards? You’ll see the beauty of CVNP through fresh eyes when you introduce a friend, colleague, or family member to the park. It’s the best way to create future park-lovers! The Conservancy works hard to inspire use and appreciation of CVNP and ensure it is preserved for future generations to enjoy. Our work would not be possible, however, without the incredible help of its supporters – that’s you! There are countless ways to support the park you love. 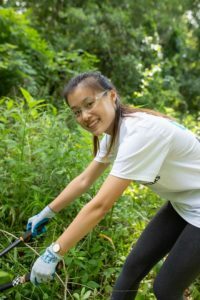 You could create meaningful experiences by volunteering, become the driving force behind the projects that maintain CVNP by becoming a member, or sponsor an acre in honor of your favorite spot on the park. Whatever you choose to do, make it a commitment this year to be a park steward in your own way. It seems like it’s getting harder and harder to get your child away from computer screens and out into nature. There is a plethora of activities to do with your kid in Cuyahoga Valley National Park, so take advantage of them! Don’t know where to start? Check out our Top 10 Hikes for your little adventurer. And who can forget about summer camp! 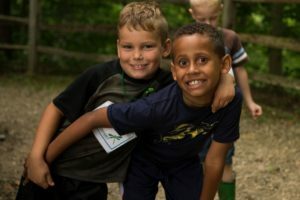 Summer camp in Cuyahoga Valley National Park is a one-of-a-kind experience. Your child will unknowingly develop skills applicable to life while having a phenomenal time. Get an early-bird discount when you register for 2019 summer camp, and a multi-camp discount code upon registration. Have your own new year’s resolution involving CVNP? We want to know! Tag us on Facebook, Instagram, and Twitter so we can follow your journey.